A new report indicates BMW plans to unveil the 4-Series GranCoupe in March at the 2014 Geneva Motor Show. Autocar is citing sources within BMW who are describing the new 4-Series GranCoupe as "a visually racier but eminently practical four-door alternative to the traditional 3-series saloon" and will share the 2810mm wheelbase with the 3-Series Sedan and 4-Series Coupe, despite rumors of getting a more generous wheelbase to increase rear passenger legroom. They were able to make room for rear doors by shortening the front ones while the B-pillars are now bulkier in order to increase the vehicle's structural rigidity. 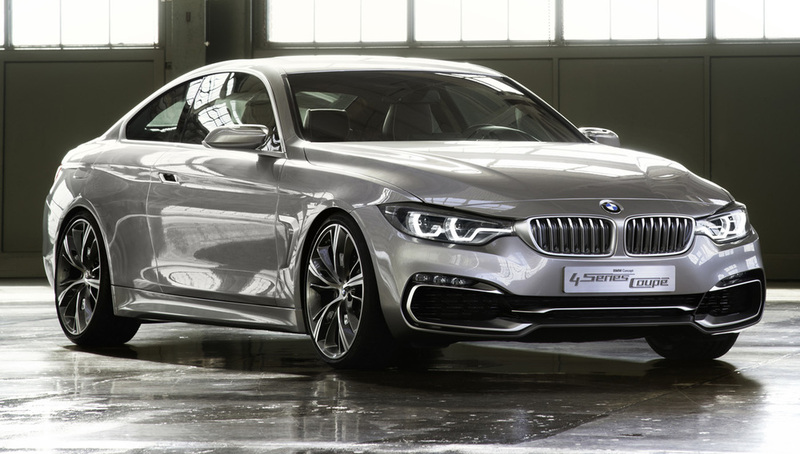 The 4-Series GranCoupe will adopt frameless doors and will have the same 4640mm length and 1825mm width as the 4-Series Coupe while height will go down by 7mm to 1370mm. Adding rear doors and beefing up body strength will increase curb weight by 100 kg (220 lbs) and trunk space will match the 3-Series Sedan's 480-liter capacity. The BMW 4-Series GranCoupe will share the same engines with its two-door cousin and will be offered as standard with rear-wheel drive, with xDrive being extra on select models. It will be around 5,000 GBP (8,200 USD or 6,000 EUR) more expensive than the equivalent 3-Series Sedan and is scheduled to go on sale shortly after its Geneva debut.